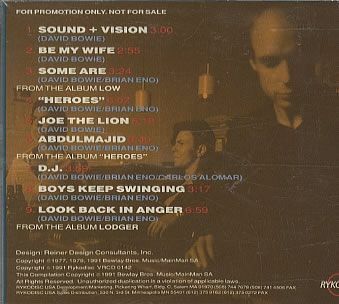 Collectorz.com Core Music Database David Bowie Bowie, Eno - Low, Heroes, Lodger. It's Time To Listen. Bowie, Eno - Low, Heroes, Lodger. It's Time To Listen.